Smart Vision Lights recently introduced its DDL Dome Light Series. These lights are designed to read code, eliminate reflections and shadows, while providing uniformity and repeatable illumination for challenging vision inspections. The DDL Dome Lights feature the new Multi-Drive integrated lighting controller. This technology allows the user to run the array in constant ON operation or pulse/strobe the light at a much higher intensity level without any other devices. The built-in Multi-Drive protects the LEDs from premature degradation and failure caused by excessive heat. The Multi-Drive regulates the current delivered to the LEDs and limits the duty cycle of the light. 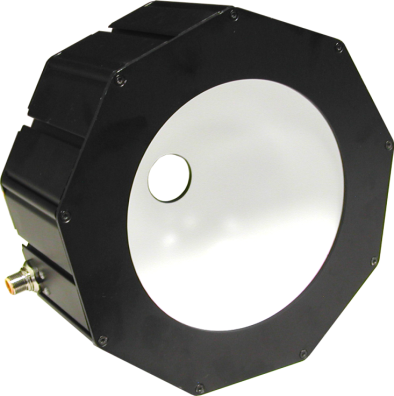 These lights are available in 100 mm, 150 mm, and 250 mm dome diameters. The dome shape gives this product a particular advantage in uniformity when illuminating and reading OCR codes on reflective or round surfaces. The LED Dome Light Series are available in the following wavelength colors. Additional wavelengths available upon request. For more product information CLICK HERE. For a quote, please contact custservice@cesales.com or call 800-228-2790 and ask for customer service. Thank you.